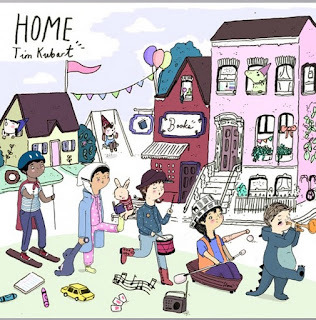 This Saturday, we are going down to the Old Town School of Folk Music to see Brooklyn kindie musician Tim Kubart and his merry band of Space Cadets perform songs from their new album HOME as well as a bunch of songs from their old albums. You may know Tim as the host of the Sprout channel's The Sunny Side Up Show, which is the only live morning show for pre-schoolers. Broadcasting live from 30 Rock in New York, Tim and his co-host Chica the Chicken sing songs, perform sketches, and celebrate everyday moments for an audience of millions of kids and families. They've had lots of special guests on the show including William Shatner, the internet sensation OK GO, and the First Lady of the United States, Michelle Obama. Here's a video of Tim choreographing a dance with Mrs. Obama. I saw Tim perform about 3 years ago at Kindie-Fest, and he's great. 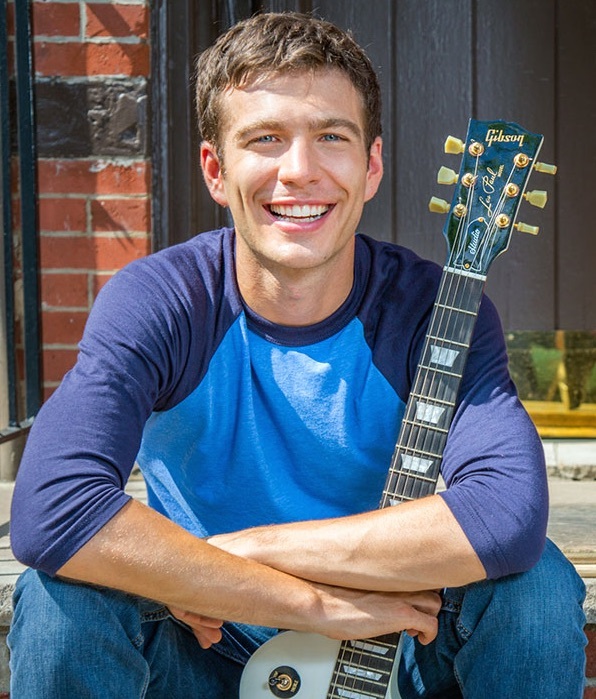 While his day job is about pre-schoolers, his music and shows are for all ages. His shows have a lot of authentic storytelling, songs with heartfelt and beautiful lyrics, and a lot of up-tempo fun numbers with a danceable beat. I had the opportunity to speak with him recently, and he told me that people should come to this show prepared to move and have a great time. This Chicago show is the first stop on an album promotion tour. (For other cities, and shows, visit Tim's website.) Tim's group the Space Cadets are a loose group of musician friends of his who play and tour with him whenever they are available. Most of them are in other bands as well, making albums and touring around the world. At some of the other shows around the country, Tim will be joined by Mario the Magician, a fantastic Brooklyn magician who I reviewed a couple of years ago on my clown blog. Sadly, Mario couldn't make it to Chicago. Maybe next time! The album they are promoting is called Home. Tim’s first album for families was Anthems for Adventure, and it was a lot about going out and having adventures. This album stays a little closer to home, having adventures in the privacy of your own home, including a Sunday Crafternoon, backyard swinging, doing chores, and the wistful sadness of moving day. The album is a mix of danceable songs and heartfelt ballads, and has special guest vocalists including Laurie Berkner , Drue Davis, and Tim's co-host on Sprout Carly Ciarocchi. My favorite song on the album is Showtime, which is kind of an anthem for putting on a show in your living room. Another great song is the ballad that he sings with Laurie Berkner, Better. Tim and his friends are playing at the Old Town School of Folk Music, 4544 N. Lincoln Ave at 10:30 am. Tickets are $15 for the General Public, $13 for OTSFM members and are available at the Old Town Website. BUY TICKETS HERE. For more info about Tim Kubart, visit http://www.timkubart.com. DISCLOSURE: I received a copy of the album and concert tickets for review purposes. As always, the free-ness of these things does not influence my opinion of them. I take my critical reputation seriously, and so should you.